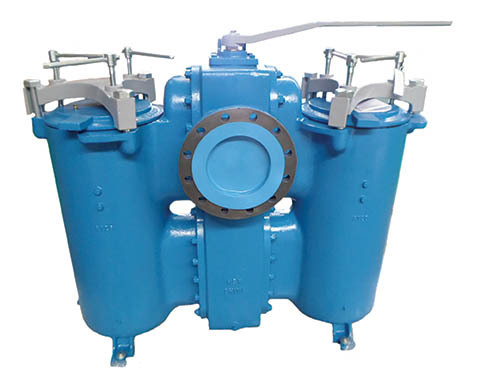 Titan Industrial - Service Reps, Inc.
Titan’s Duplex Strainers are high quality, compact units, ideal for non-interruptible applications. 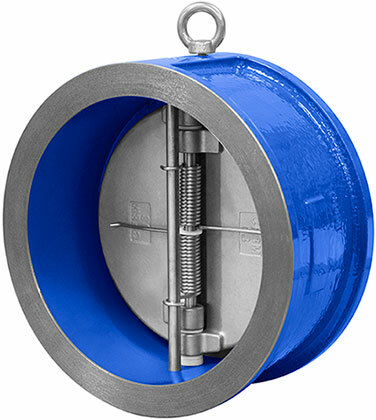 They are easy to operate and maintain with no special tools required to remove the straining element from the chamber. 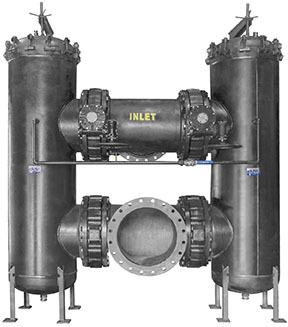 Two basket chambers and a flow diverter system allow the pipeline flow to be switched from one chamber to the other, isolating the flow to a single chamber and allowing the inactive chamber to be cleaned without shutdown. 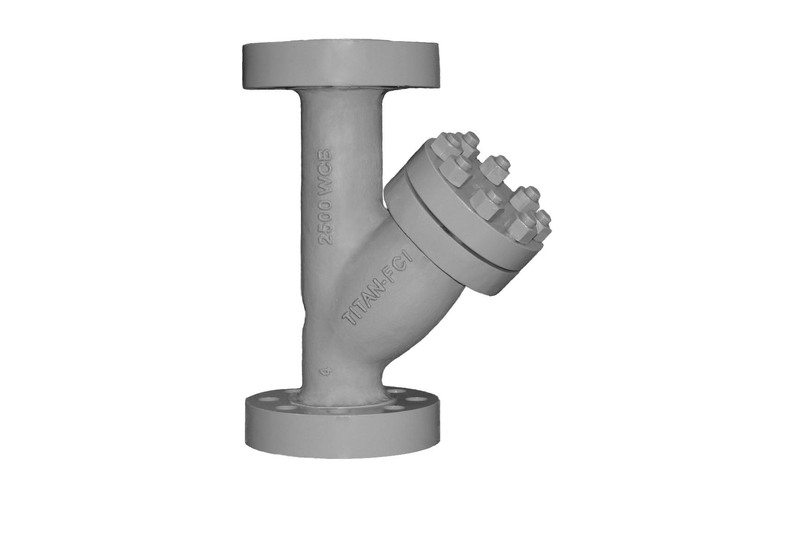 Titan’s Duplex Strainers are available with threaded and flanged ends in a variety of materials. All cast iron and carbon steel units are epoxy painted to resist rust. Check Valves are automatic shut-off valves that are commonly used for preventing backflow or drainage in a piping system. Often applied on the discharge side of pumps, check valves prevent the system from draining if the pump stops and protect against backflow, which could harm the pump or other equipment. Titan Flow Control, Inc. offers a variety of check valve designs to meet your specific needs including Center-Guided Globe Style Valves, Center-Guided Wafer Style Valves, Center-Guided Threaded Valves, Dual Disc Check Valves, and Single Disk Check Valves. Fabricated products provide additional flexibility and design options for unique applications. Titan’s highly experienced engineering team and fabrication department is customer-focused and detail-oriented, ensuring that a Titan fabricated product will not only meet the needs of your application, but will be of the highest quality. Titan FCI can provide fabricated products that are non-code, National Board Certified, ASME “U” Code Stamped, and ASME “UM” Code Stamped. Y Strainers (or “Wye Strainers”) mechanically remove debris in pipeline with a cylindrical straining element, often called a screen. They can be placed in horizontal or vertical pipelines (downward only) and require regular cleaning of the screen for proper operation.